Coast Hockey League last week. After serving three seasons as associate head coach and director of player personnel under Derek Lalonde, Pat Mikesch has been named the new head coach of the Gamblers. 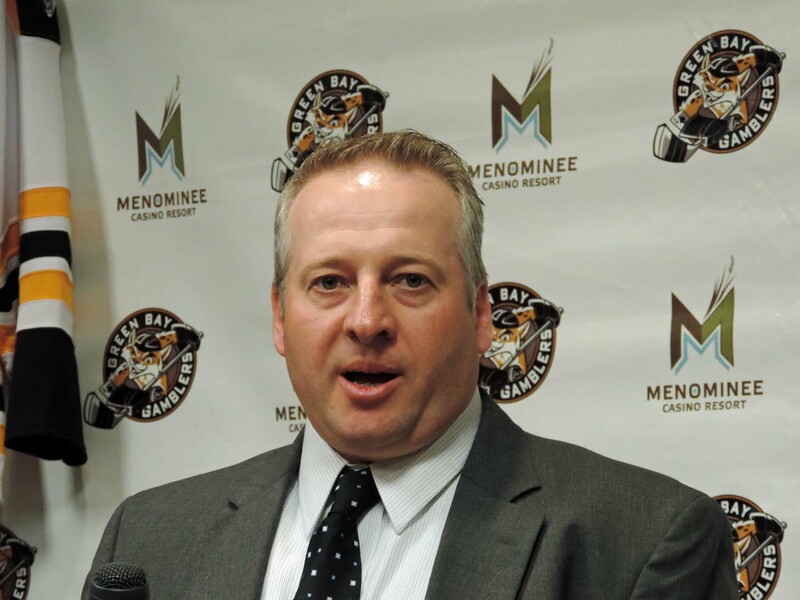 Mikesch spent the last ten years developing as an assistant, the last three in Green Bay and the previous seven as an assistant at his alma mater, Michigan Tech of the Western Collegiate Hockey Association. On the international level, Mikesch led the United States U-17 team to three straight gold medals at the Five Nations Cup (2011, 2012 & 2013). In Mikesch’s three years behind the bench at the Five Nations Cup, the U.S. team was a perfect 15-0. U.S. Junior Select Team that will compete in the 2013 World Junior A Challenge next month in Yarmouth, Nova Scotia. The World Junior A Challenge is a six-team international tournament featuring the United States, Czech Republic, Russia, Switzerland, and two teams from Canada. The U.S. team is annually made up of USHL players and has dominated the tournament, winning it four of the last five years. 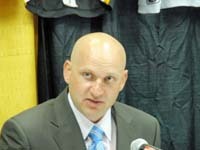 Lalonde is currently in his third season behind the bench for the Gamblers and already has the team off to a 3-1-2 start. During his first season in the League, LaLonde led the Gamblers to a team record 47 wins on the way to capturing the Anderson Cup for best regular season finish. The 98 points earned in the standings established a new USHL record. 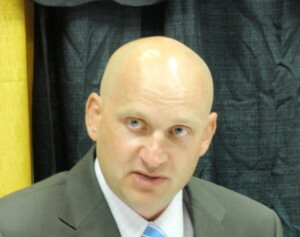 LaLonde then guided the team to the Clark Cup title in the playoffs. No team has won on the road this season like the Green Bay Gamblers have. Their 25 regular seasons wins away from the Resch Center is a United States Hockey League (USHL) record. The Gamblers blew out Youngstown in the first game of their best-of-5 series 7-1 on Saturday night, but Derek LaLonde’s team couldn’t follow that up on Sunday with another win. Green Bay outshot the Phantoms 43-24, but the Gamblers lost their home ice advantage with a 5-3 loss to Youngstown. Special teams hurt the Gamblers. They were 0 for 3 on the power play and 0 for 3 on the penalty kill. The series now shifts to Youngstown for games 3 and 4 on Tuesday and Wednesday. The Gamblers will need to win 1 of the 2 games on the road to force a fifth and deciding game on Friday. The Gamblers went 2-0-1 at Youngstown this season. Gamblers of the United States Hockey League. The Gamblers (47-9-4) not only set the USHL Tier 1 record for wins (47), points (98), least amount of losses (9) and road wins (25) in a single season, they also set Tier 1 records for goals scored (250) and goal differential (+112).